Happy Tuesday, everyone, from the world-wide headquarters (WWHQ) of the Corvallis Knights, your 2016-2017 and 2018 West Coast League champions! We’re a day early this week because of some travel plans that make posting on Wednesday impossible. Only 64 more days until our May 29 opener on Science, Engineering & Art Day game at Goss Stadium! 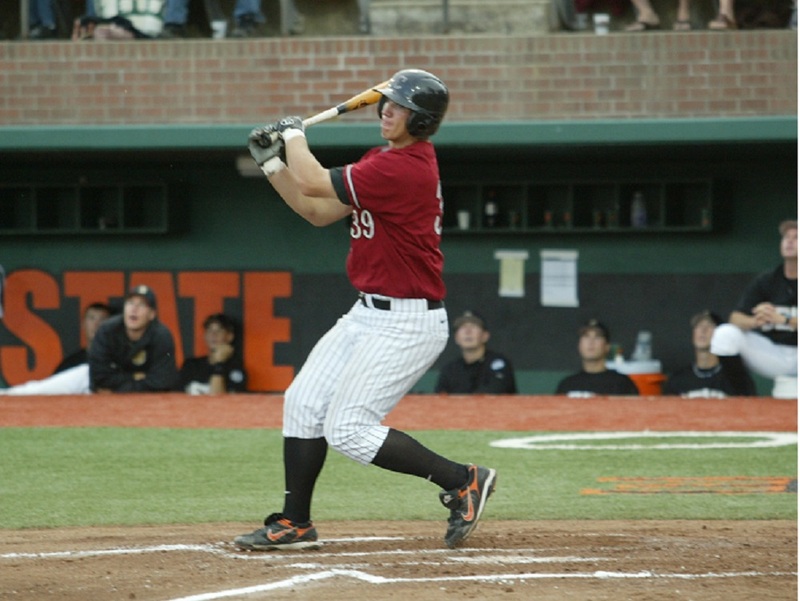 Veteran first baseman Dean Green (pictured above in 2008) has signed with the Sioux City Explorers of the independent American Association. The former Detroit farmhand spent last season with the New Jersey Jackals in the independent CanAm League and hit .355 in 55 games, with 13 homers and 43 RBIs. Dean was selected in the11th round of the 2011 MLB Amateur Draft. He played at every level in the Detroit organization, and was named o both the New York-Penn League (short-season Single-A) All-Star team and the Topps Short-Season Rookie All-Star Team. He was also named to the Midwest League (Single-A) and Eastern League (Double-A) All-Star teams while playing for the West Michigan Whitecaps and Erie SeaWolves, respectively. He topped out with Toledo in the triple-A International League in 2016. Outfielder Austin Feist (2018) of St. Martin’s was nominated for Great Northwest Athletic Conference Player of the Week honors but was not selected. Pitcher Aaron Shoup (2018) of St. Martin’s was nominated for GNAC Pitcher of the Week honors but were not selected. 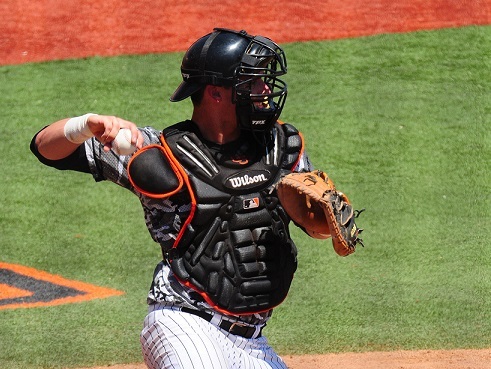 Catcher Nick Kahle (2016) of Washington was nominated for Pac-12 Player of the Week honors but was not selected. 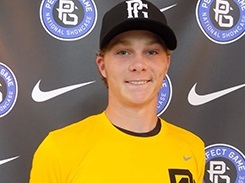 Future Knight Rodney Boone (2019) of UC Santa Barbara was nominated for Big West Pitcher of the Week honors but was not selected. 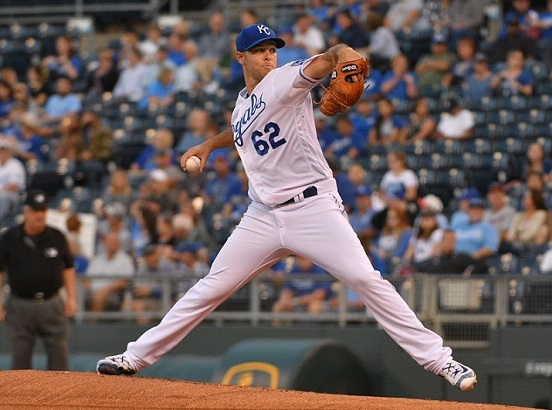 Alums Andy Cosgrove (2015, Minnesota) and pitcher Josh Osich (2008, White Sox) have been assigned to minor-league camp by their respective teams. A catcher, Andy played at Washington and at North Carolina State. A left-handed pitcher, Josh played at Oregon State. Our 2019 home schedule features six Thursday games, six Friday games, five Saturday games, five Sunday games, one Monday game, four Tuesday games and five Wednesday games. Reserve the best seats in the house for the 2019 season now by emailing [email protected] or by calling (541) 752-5656. Our entertainment schedule is available by clicking here. The Bellingham Bells have announced the addition of Derek Marshall, a redshirt-sophomore infielder and outfielder, and Jack Murano, a freshman right-handed pitcher, of New Mexico for the 2019 season. Please click here for more information, from Our Sports Central. Former VMI pitcher Reed Garrett, a right-hander who threw the first pitch in Yakima Valley Pippins history on June 6, 2014, became the first Pippin to reach the major leagues, with the Detroit Tigers as a Rule 5 draft selection. Please click here for more information, from Our Sports Central. That’s all for today. Have a great week and we will see you in April!